If, like most of us, you’re missing the early sounds of the Arctic Monkeys (or any new sounds at all, really), try shelving your frustration with Alex Turner’s pursuit of side projects long enough to check out Queen of Jeans. Though the Philadelphia-based foursome might not be on your radar when it comes to blending DIY rock and good, old-fashioned doo-wop, their latest single “More to Love,” (out 1/31/18 via Topshelf Records) is more than enough to grab any self-respecting listener’s attention. The aptly-titled single is an evolutionary follow-up to the group’s 2016 self-titled EP, which cemented the group’s crockpot-pop/DIY rock sound. That ethos is still here to stay, yet in “More to Love” it’s been fine-tuned and mixed with a doo-wop sound that sounds anything but manufactured. Opening cleanly with slowly swelling backing vocals, “More to Love” dives right into Queen of Jeans’ revamped take on an older sound. Which has them well on their way to outdoing the Arctic Monkeys, as they perfect that doo-wop backing that crowned so many tunes of yesteryear and mix it with happy-sad bass. However, the band’s decidedly female-fronted slant allows them to move beyond comparing their sound to anyone else. 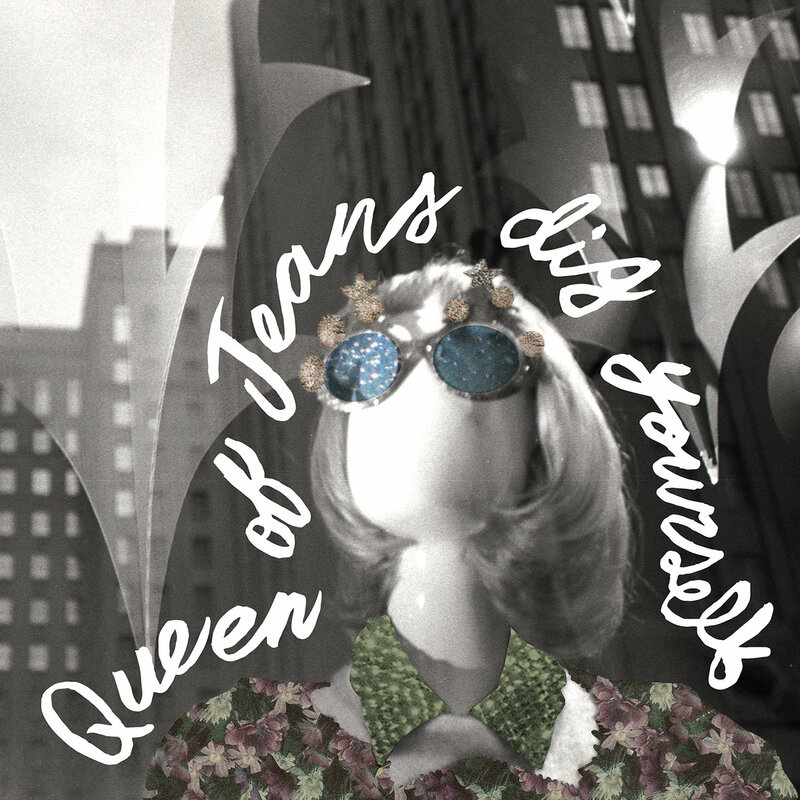 Hearkening back to the days when girl groups ruled the charts with doo-wop tunes a little over 50 years ago, Queen of Jeans reclaim and modernize the sound, giving us something both old and new to love about it. As the song progresses, we see both Devora’s range and the steadiness of the band’s backing vocals. Pairing the harmonies with dreamy bass, the overall effect is a blast from the past paired with the best of the present that tells us that the act of loving—whether it’s yourself or someone else—is brave and absolutely worth it. The accompanying video, directed by Bob Sweeney, features the entire band matching with someone on a dating app. While the band is clearly excited about where the relationship will go, the unwitting match clearly has a different opinion. The video unfolds over the ensuing ghosting, featuring the band’s attempts to come up with clever texts in an attempt to win their match back. Presented as more comical than bittersweet, the playful video echoes the song’s overall effect through its approach to an unrequited love. Teasing the band’s debut album, Dig Yourself, out March 30, “More to Love” is a promise as firm as its name: that this is just the beginning. There’s much more where this came from, and we can’t wait to have even more to love from Queen of Jeans.